Western Australia's premier infrastructure event, the WA Major Projects Conference, attracted over 350 Nationwide delegates... PlantMiner was a proud associate sponsor and I was the fortunate one to attend the two-day event and hear from the 30 industry-relevant speakers sharing what to expect in 2015 and over the coming decade. Over $580 billion investment in the mining industry has been made by the WA Government over the past ten years. With timezones closely aligned to that of the Asian market, WA has been the perfect candidate for mining and further feasibilities have made it very attractive for the exportation of energy and resources. The boom is unfortunately over for now and there are no new large-scale mining opportunities on the immediate horizon. Without financial backing from the government there will be no new opportunities any time soon, according to the North West & Kimberley Chamber of Minerals and Energy Manager, William Whitham. With the construction of mining projects like Roy Hill, Wheatstone and Gorgon well underway (or accommodating for no more than small expansions and the like), we will soon be in operation phase and new work in the mining sector will no longer be on the cards. Not great news. But wait, all is not lost! Since the boom there has been a 30% increase in population and therefore a demand for further infrastructure to cater for growth. 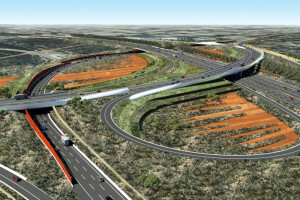 Perth metro and surrounds will soon become a hub for large-scale road infrastructure; some of which is already well into construction. Read up on our Perth Freight Link opportunities here. These are only two of the many road infrastructure projects that will provide opportunities in 2015 and into the future. For more information and scope head to the Main Roads WA website. 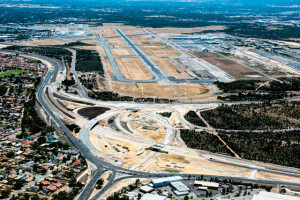 According to Main Roads WA's Director of Major Projects, Martin Lodge, projects are larger and more complex than ever before. Consequently there is an ongoing focus on running all major projects separately from one another, with an individual team assigned to each. As such, the MRWA will be assessing upcoming bids/tenders in great detail to ensure they are being priced and scoped correctly, so as to filter out the unrealistic. Plant and equipment can often be a large component of these pricings. Therefore many of the relevant parties are already looking to PlantMiner to source hire requirements (both wet and dry) to gauge a true representation of the current market. As these construction projects come into full swing, Dr Mike Nahan - WA's Treasurer and Minister for Energy, Citizenship & Multicultural - anticipates upwards of 80,000 jobs will be created. This will hopefully fill the void left by the lack of mining projects. With an overall focus on in-depth planning and preparation, we will see a lot of the long term opportunities make their way from the Pilbara to Perth. PlantMiner will look to act as an extension of the many companies/contractors involved as in plant and equipment hire agreements. Search for plant and equipment hire quotes here. Or register to list your hire business on PlantMiner here. If you would like to find out more about the WA Major Projects Conference or any of the upcoming works in WA, get in touch with our WA tender specialist, Brendan Batch by emailing brendan@plantminer.com.au or calling 08 6313 2923 / 0425 456 207. Brendan is a National Business Development Manager at Felix. Dealing with a range of private and Government entities, Brendan works on improving business process efficiency, minimising risk, and increasing collaboration and transparency across business units. He's always open to chat about how software innovation can improve your business.